A disgraced DEMON pilot tries to start a new life in cyber-charity but finds himself drawn into a battle that he doesn’t fully understand where his past resurfaces and he is touched by an ANGEL. But the greatest conspiracy remains hidden from him. Turing Evolved is an interesting tale about a possible future where strict laws govern the development of Artificial Intelligence (A.I.) due to its possible abuse. Research facilities attempt to manufacture benign autonomous A.I. licensed through rigorous testing from the Asimov Council – a “Turing Evolved” test to determine ongoing suitability and safety to mankind. Meanwhile, Mindspace – a fully immersive internet-like environment is humanity’s main recreational and productivity environment, a cyber-world also rigorously maintained through laws and guidelines. So have we arrived at cyberpunk yet? Well yes – and no. One of the interesting elements of this novel is that although there are many scenes played out in cyberspace, the book has more of a military sci-fi feel about it. Additionally, there was something a bit Asimov about the exploration of humanity versus A.I. in this story. So although I think the science fiction label is obvious, I don’t think the cyberpunk tag is as obvious despite some fairly obvious trappings. I liked the story, although there were a couple of elements along the way that seemed to break the flow for me. In particular I remember Jon Carlson (our hero) exhibiting what I thought to be unlikely characteristics when running after an ANGEL, afraid that he’d upset “her”. Later I realised that the author was planting responses that might seem initially confusing but made more sense at a later time. Unfortunately, I had already gone through the “you’ve got to be kidding” response well before this was clarified. 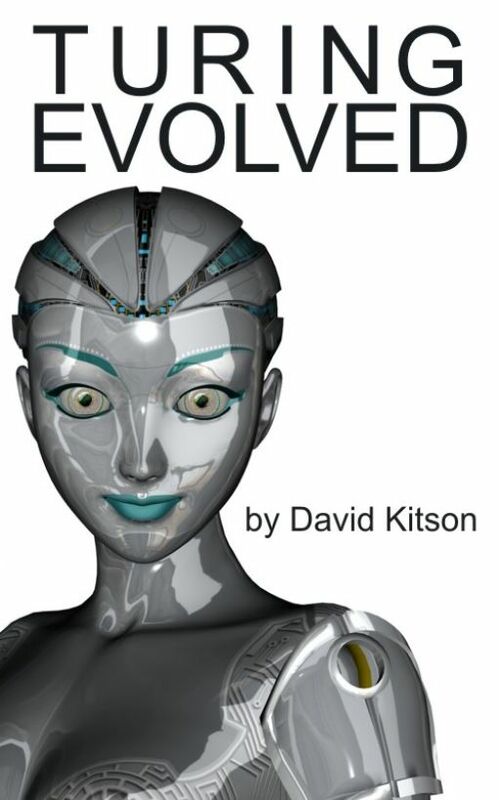 The story was ambitious and I ended up enjoying the exploration of humanity as it relates to artificial intelligence. I also enjoyed the action scenes which were written pretty well and had plenty of missiles, bullets, explosions and injuries. I do think a skilled editor could have perhaps pared down the narrative a little to make it a punchier experience and perhaps the author’s ambitions could have been curbed a little to deliver a more focused story. For example, the Amy Rivenstock sub-plot is one element of the story I would have cut. In the end I could see why it was there, but it’s a matter of keeping the story focused and I don’t think this added enough to merit the side-track. There was a significant reveal towards the end of the work which certainly added interest, but I think it also exposed some logic flaws in the telling of the earlier story. I’m not going to elaborate on the revelation as it’s much better discovered by the reader, but I will say that the story seemed to drag a little unnecessarily after this point. It felt like an extended epilogue that may have seemed necessary given the ambitious nature of the story, but just felt to me like a story that didn’t want to end when it should have. The characters were quite relatively engaging in this story. As mentioned earlier, the hero sometimes felt inconsistent to me, but overall I enjoyed the journey with him. Jon’s sidekick Jeremy also added interest to the story but perhaps the most interesting characters were the ANGELs themselves. They were both demonstrative and at the same time enigmatic. They never revealed everything which allowed this reader at least to walk into the final revelations of the story unprepared. The story of the ANGELs born in HEAVEN is a good one and I’m glad it was told. The writing itself still needs some work. The book has gone through three edits and I still found plenty to highlight in terms of typos, word misuse and jarring tense changes. These kinds of problems are often quoted as the reason why readers shy away from independent authors and as an advocate of independent publishing I’m always a little disappointed to have to point it out in a review. I’ve certainly read worse, but I still felt somewhat let down by the amount of errors I encountered. Perhaps a fourth edition will be more successful. Overall, I liked this novel. I think fans of Asimov, military sci-fi or even cyberpunk will find something to enjoy here. With the strong guiding hand of a good editor and more rigorous proofing this diamond in the rough could sit comfortably with the better science fiction works of today. Personally though, I would wait for at least one more major revision before taking the plunge. Although the book is free, I think the experience will be more enjoyable without so many errors. This entry was posted in 3, Novel, Reviews, Science Fiction and tagged Cyberpunk, Military Sci-Fi, Science Fiction. Bookmark the permalink.